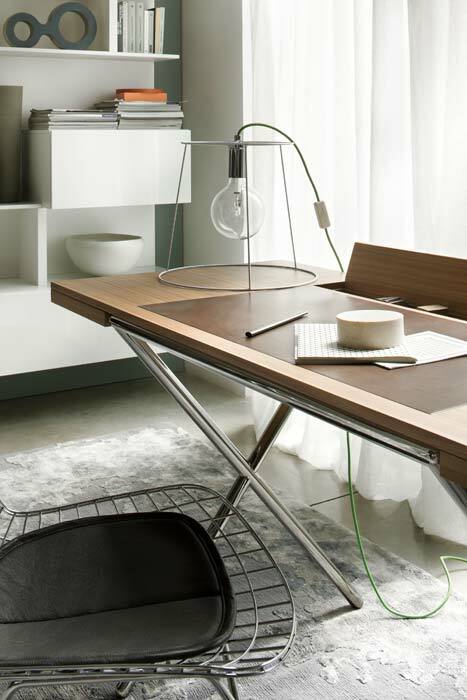 The Novel writing desk from Lema, designed by Christophe Pillet. 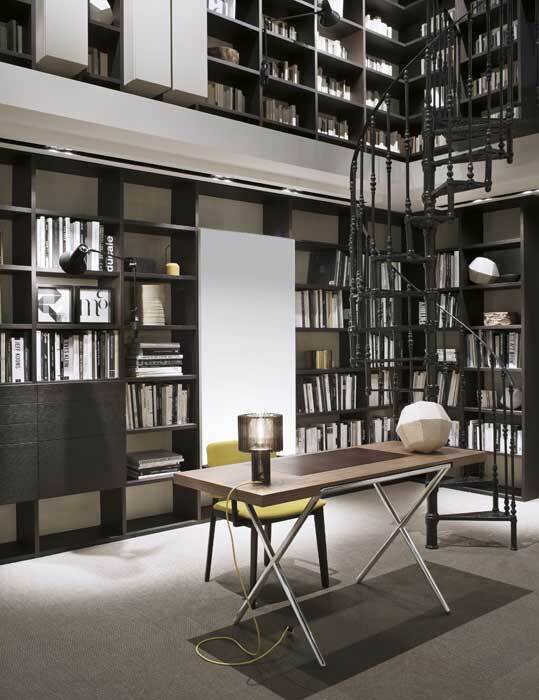 The essence of Novelist lies in its name that evokes past creativity; materials and aesthetics instead update the use, standing out as an elegant furnishing unit, the real protagonist of the space. The base unit consists of two crossed legs in bright chrome-plated metal, supporting a precious top in Canaletto walnut. 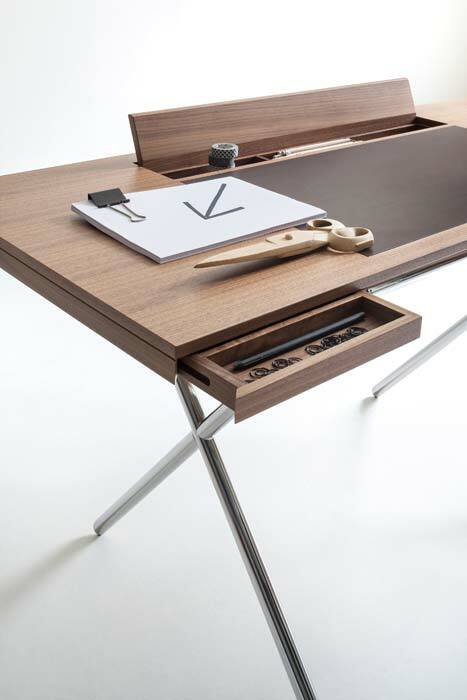 In the reduced thickness, two side drawers are available and a pencil-holding unit. To underline the retro taste of the unit, the covering in leather.